Walking is for the old generation. 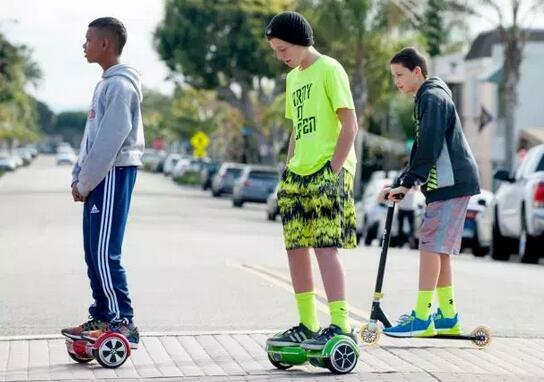 The Gen X is too cool to walk and that is why, the market for Hoverboards is doing a roaring trade. 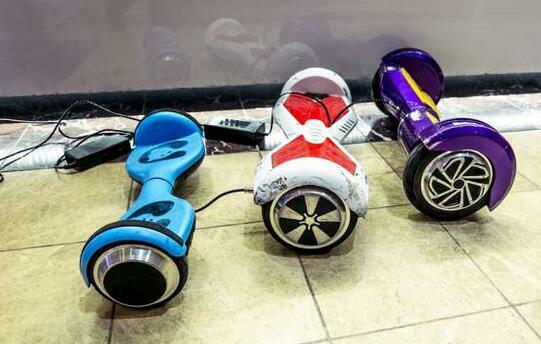 Hoverboards or self-balancing scooters have become a craze all over the world. You get yourself a hoverboard in the expectation to zoom ahead and awe your friends. But the moment you step on the hoverboard, you lose your balance and fall down! Of course, you haven’t learned to ride a hoverboard yet. 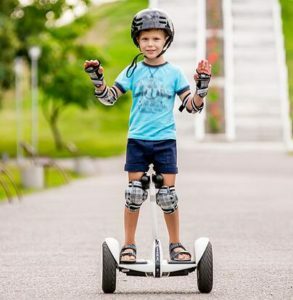 Just like a bike, you need to practice and gain balance before you can ride on your hoverboard. Today, we will give you a thorough training on how to ride a hoverboard so that you can become a pro in no time. So let’s begin without delay! Preparing yourself is necessary for riding your scooter. Hoverboards can travel at 8 to 10 miles per hour so even though it’s not that fast, you can still fall and injure yourself. Protect your body parts by wearing the required gears before you begin your learning session. Some brands provide instruction manuals with their hoverboards. Don’t step on your board before you have read it! You will be able to know the specifications and any special precautions applicable to your board. First off, you have to be careful when charging the battery so that you don’t overcharge it. You can only leave the battery plugged in for a few hours. Otherwise, you stand to damage the battery permanently. That could lead to a permanent issue with the battery wherein it won’t be able to hold the charge properly. Next up, do note that the headlights on your hoverboard may not totally illuminate your surroundings so watch out for that racoon who could run in from the side. You would want to buy one that has great lights. Plus, you should take a note of the construction too. The outer shell, for instance, may be durable but the inner side can get scratched very easily. And we all know how ugly scratches look and how they mar our otherwise fair ride. In case you don’t have a manual, don’t worry- we are going to cover everything! You can read our best hoverboards reviews to help choose the one that fits your needs. The first thing to make sure is that your hoverboard is fully charged. If not, then plug it to the charger and charge it fully. You don’t want the batteries to go dead while you are taking your first crucial steps! Before you do anything, switch on your hoverboard by pressing the power button. Most of the time, the power button is located on the rear of the board or the central bottom flap. Don’t attempt to ride on your board with the power switched off as you will fall down almost instantly. 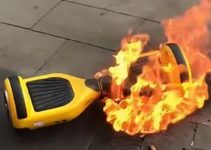 Hoverboards are meant to maintain balance only when they are switched on. Some hoverboards also provide a learning mode. So if it’s applicable, turn the learning mode on. You will want to ride on a plane surface where you can travel in a straight line before you get to learn your turns. It also helps to have a support nearby so that you can save yourself from falling down while getting up on the board. Place the board near a wall or pillar, and you are good to go! Tip: If you really want to learn to ride a hoverboard, you must put your mind and soul into it. It’s similar to learning anything new, so concentrate and focus your mind. 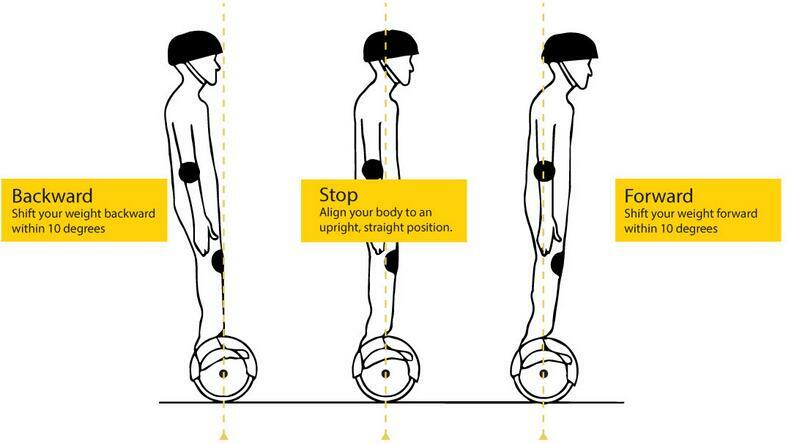 Place your first foot (preferably the dominant one) on the hoverboard and use the other foot to keep the scooter in a level and upright riding stance. Try to place your foot closer to the wheels, far from the center of the board. When you have balanced yourself, take your other foot off the ground and put it on the hoverboard. Adopt the same manner as your first foot and place it far from the center, nearer to the wheels. Having a wide stance will help you bend your knees and maintain balance on the board. Some board also have a flashing LED which tells you when it’s okay to put your second foot. So look out for such signals if your board is equipped with one. 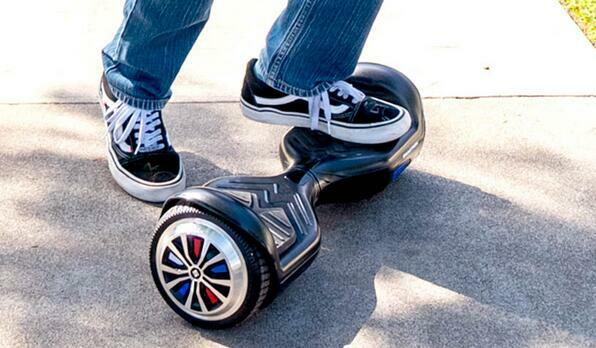 Most hoverboards are engineered to balance you electronically once you step on. Still, you might be a bit wobbly trying to find your center of gravity. Take help of the wall or pillar until you learn to balance yourself. Tip: Getting on your hoverboard is similar to climbing up stairs. Don’t over think too much- just place your feet climb on! Which Way Should You Get Up? There’s no front or rear in self-balancing scooters. You can get up either way though some people prefer to ride with the light side forward to see in the dark. Others keep the lights at the back to use them as traffic alerts. Once you have mastered the art of standing on the board, you can proceed moving forward or backwards. The logic here is simple- you lean forward to go ahead and do the opposite to slow down and go backwards. In other words, the hoverboard will move the way you shift your body weight. So, if you want to move forward, adopt a forward motion to go ahead. You can bend your knees to control the motion effectively but don’t overdo it! If you put too much pressure or lean too much, you can lose your balance and fall down. Tip: There is a bit of learning curve when it comes to controlling the speed and braking. Begin with small shifts in your weight so that you can learn to go ahead slowly and gradually. Leaning more increases your speed, but you want to adopt caution so that you can slow down in time instead of hitting an obstacle and flying off! If you are a novice, then you will want to practice riding in a straight line and get used to the feeling. After you can move forward and backwards without any problem, it’s time to turn left or right! Turning on your hoverboard follows the same principles you use to move ahead or backwards- you need to shift your pressure and balance. 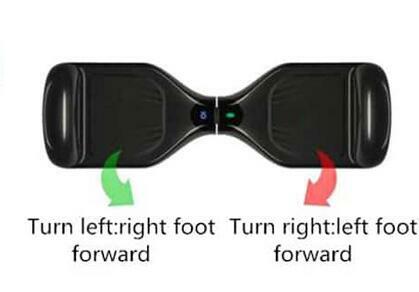 Each paddle of your hoverboard is independent of the other one, so that you can shift pressure on each side. If you want to turn right, then push your left toe forward; if you’re going to turn left, then push you right toe forward. In other words, you need to shift your body weight opposite to the direction you want to turn. You can also lean your body in the appropriate direction to propel your board in that direction and make a nice and clean turn. Also, while you push one toe forward to turn, ensure that the other foot is stable and in a horizontal position so as not to lose your balance. Tip: You will want to adopt slow and gentle movement in the beginning when you are learning to turn. Otherwise, you can spin off and hit the ground! Getting off the hoverboard will also need some practice before you can do it with confidence. Just like getting on the board, you need to take one step at a time. The trick is to get off the board backwards instead of forwards. The reason is, if you are getting off from the front, your foot can put pressure and send the hoverboard shooting ahead! The same is less likely to happen when you step down from your board backwards. Also, don’t make the mistake of jumping off the board- just step down normally. Getting on and off your hoverboard can take a long time so you should keep practicing. Once you have mastered the art, your confidence will increase along with your balance. The same also applies to the whole of self-balancing scooter learning experience. You can read manuals and watch countless videos, but unless you adopt perseverance, you won’t succeed! So take each step at a time and practice as much as you can before you hit the streets! It’s not that hard to ride your board backwards after you have got the hang of riding it. Just shift your body weight backwards by leaning back, and the board will move in reverse. You must have seen people spinning on their hoverboards and want to do the same to show your friends. Once you have some experience of riding and turning, you can try to learn the art of spinning! To spin, you need to put pressure on the toes and heels of the feet opposite to each other. That means if you want to spin right, you will have to put pressure on the right ankle and left toe. On the other hand, put pressure on your left ankle and right toe to make a left spin. Tip: Like the other steps, start with gentle pressure and make your way up the difficulty meter. 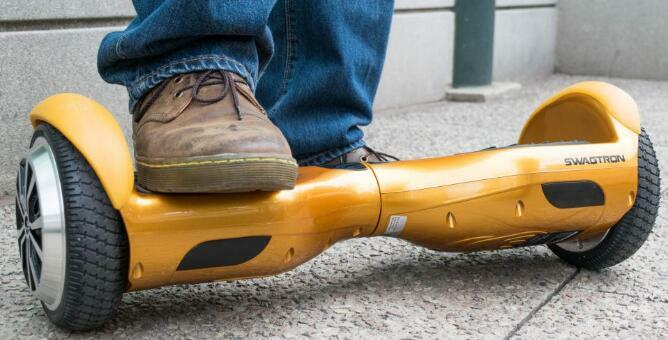 Most of the hoverboards can ride inclines of 15 to 20 degrees while others can handle higher terrains. You should be cautious and take it slow when you encounter slopes for the first time. Once you have handled a few slopes, it will be an easy thing, and you will not lose your balance. When you are in the learning phase, you will want to practice on a plane or concrete surface. Try to avoid bumps or potholes which can make you fall down. After you have gained some riding experience, you can try some offroading or tackling hilly terrains, bumps and curbs. Keep the condition of the road you are riding on your mind and adjust your riding style accordingly. This is true for all vehicles- you must keep your eyes forward and on the road. Don’t get distracted as you might hit an obstacle or bad patch of road the moment you take your eyes off! The faster you move, the more careful you should be. Hoverboards don’t generally go over 10 miles per hour, but that can also turn serious if you have a collision or fall down. Some boards make a beeping sound when you reach top speeds, and you should consider slowing down. Also, bend your knees to get more control over your riding stance. Some hoverboards come with LED lights which help cars, and other motorists see you. In case you don’t have lights, wear bright clothes or reflective jackets to increase visibility. You can also stick a few reflective stickers on your hoverboard so that other vehicles can see you. Obviously, the two things are not the same! So don’t try stunts and tricks that you do on your skateboard on your hoverboard. You will only increase your chances of getting injured! That’s about everything you need to learn to ride a hoverboard. Like we already said before, perseverance is the key so keep practicing till you become a pro!